Yes Autumn has been here and Winter is quickly approaching; faster than we know. If you look at most of your Glam Bombshells and Gents you see that the Timberland trend is back and is rapidly spreading. Everyone are getting those good-ole "Classic Timberland Boot." 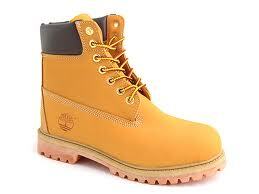 Timberland Boots or some may call it "Timbs" are a must- have for the season girl or guy. Timberland boots are a throwback and have been in trend for awhile now. You even see these boots on celebrities such as Kanye', Chris Brown, Rihanna, Teyanna Taylor, Emily B., and more.. You can't miss out on this FABULOUS TREND! These timberland boots allows and gives so much creativity to fashion. Dress it up or dress it down; just make it look fab, glam, and fly. Bottom dollar if you were to match up these boots with a fit there will be heads turned. They add such a "tomboy-ish" look to your fit and tomboy flirty girl is in. I plan getting me a pair of these fabulous boots before the year is out. Another type of boots that are similar to our Timberland Boots and our very know Manolo Boots are the ZIGIny Z-JO boots. You may have seen these boots on our favorite Emily B. They are to die for. These are next on my Christmas list! Some are getting creative and even studdin' out their Timberland Boots. I am falling in love with these boots. 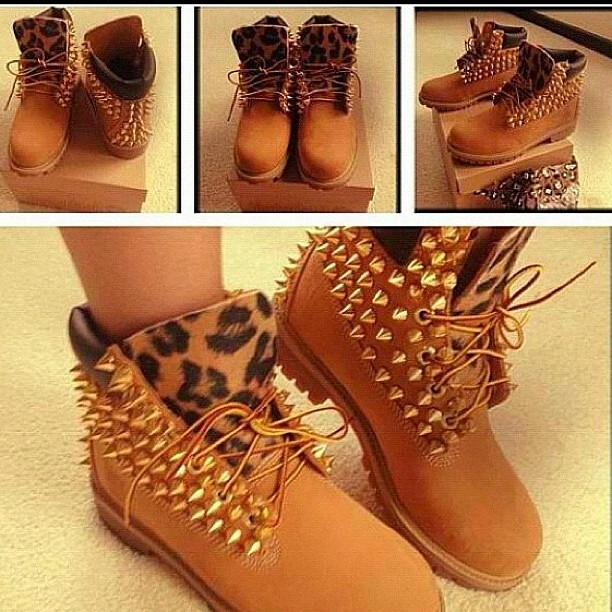 These boots are custom made; I mean leopard and studded timberland boots. Fashion is on its most high rise and let's all get on the "high rise" too.